The conference is held at Mövenpick Hotel Amsterdam City Centre. We do not hold a block of rooms at the hotel. You can book your hotel room through the conference at a 10% discount from the advertised rack rate at the time. Prices will vary as the hotel’s advertised prices vary too. 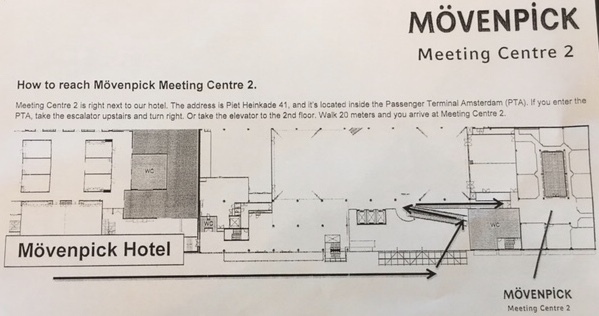 Workshops are held in Meeting Centre 2 (an attached building that you can access from outside the main Mövenpick building). The map below illustrates the walking directions.